on my tire patch, I find a little time to test the face paint for Fridays’ Death Becomes Her ride. Now, I’ll work on the chin line (always a weak technique for me with respect to makeup application) but basically I’m a-looking forward to it. Giddy up. I won’t win most original costume or fastest spook on wheels, but it’ll be the first time I’ve ever dressed up for Halloween. Or even noticed the date at all. I feel bad for my Canadian ex who desperately tried to get me into the whole celebration (what is it celebrating again?). I really let them down. If only they’d known to combine the silly holiday with bikes. I’d have been right there. 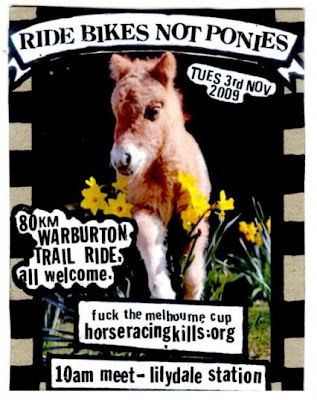 Sadly though, I’m double booked for Cup Day and won’t be able to attend the Ride Bikes Not Ponies event, which seems like a really nice idea. I’m going to be at my house, having a competition with my (male) friend to see who can apply the most fake tan, perfecting the deep orange colour that I shall hereafter refer to as Burnt Barbie Glow which is often spotted around Melbourne this time of year. Doesn’t mean you can’t go though. 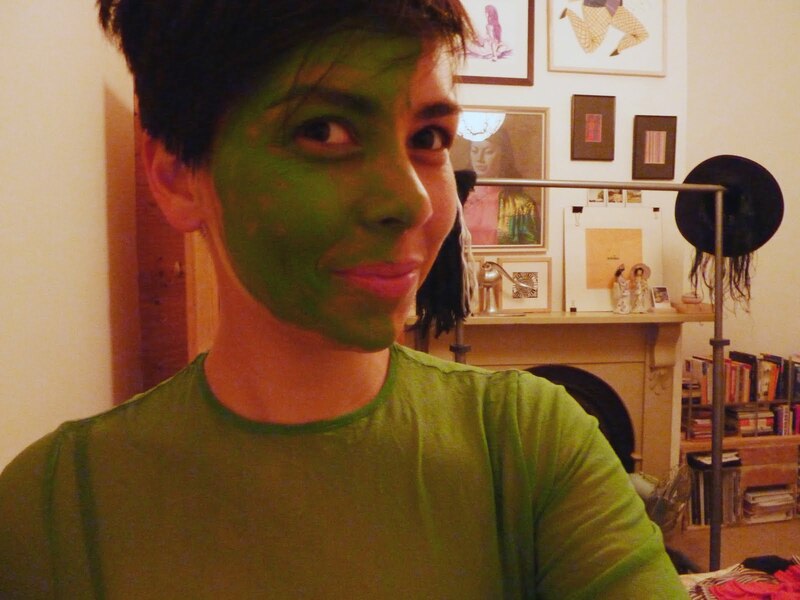 *PS is there anything chemically risky with dying your skin green on Friday then orange on Monday and trying to have it scrubbed back normal for work on Wednesday? Or is it just socially wrong? Like are you just some misplaced Oompa Loompa?